Break the speed barrier this Halloween with a costume that will make you look like you’re moving faster than the eye can see. 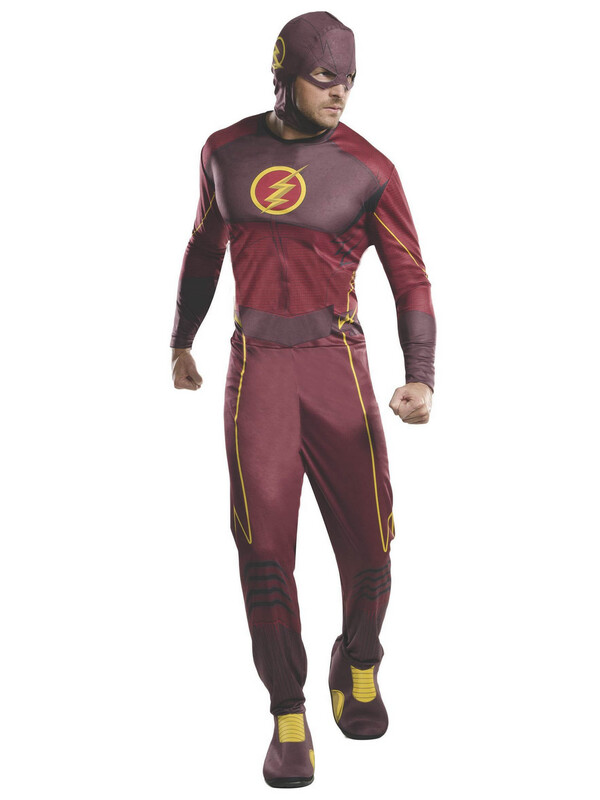 Step into the shoes of one of DC Comics fastest heroes and become a real speed demon with The Flash Tv Series – Flash Adult Costume. This red outfit with golden highlights is designed after Barry Allen’s iconic look from the hit show. Join your fellow heroes and save the world before anyone even knows it’s in danger.